Ravenstonedale is a small village in Cumbria about 10 miles east from the M6, about 4 miles south-west of Kirkby Stephen and only 5 miles from the Yorkshire border. An unspoiled village with beautiful rolling countryside and peaceful country lanes set on Carboniferous Limestone. This is the sort of rock that produces caves and other interesting features like limestone pavements. 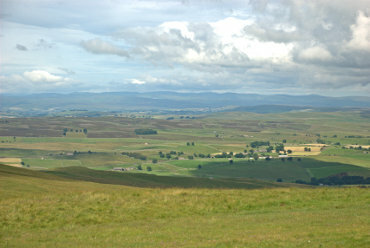 A short four mile drive from Ravenstonedale are Great Asby and Little Asby scars. 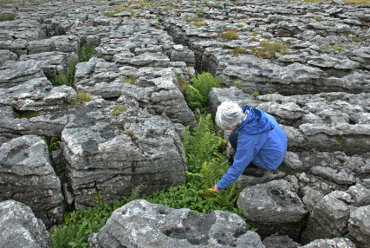 These impressive areas of limestone pavement are natural Karst landforms consisting of flat, incised surfaces of exposed limestone that resemble artificial pavements. The road from Nateby, near Ravenstonedale, to Keld in Swaledale is a trip in itself. Nine miles of narrow winding road going over high ground with plenty of dramatic scenery and providing views like this looking towards Ravenstonedale. 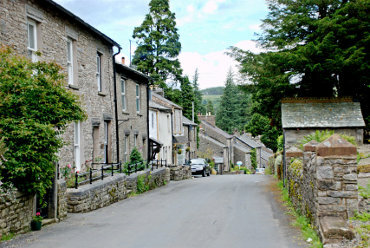 It is easy to walk out of Ravenstonedale along Scandal Beck towards Kirkby Stephen via Smardale Gill Viaduct shown here. It is not a strenuous walk but it does go through some rather splendid countryside. 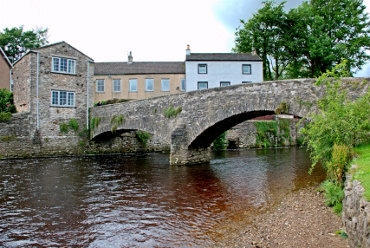 Kirkby Stephen is a small, traditional market town in the Upper Eden Valley just 4 miles from Ravenstonedale. This is Frank's Bridge, a 17th century corpse lane bridge and there are stones at the right-hand end where the coffins could be rested on their way from Hartley or Winton. Read our report of this trip to Ravenstonedale, Cumbria on the Blog.